We’ve all experienced the horrible feeling of burnout. It never comes at the best of times, but rather in the middle of the busiest seasons when you really need to get things done! As a single mom, I’ve found that burnout is more frequent and harder hitting than it was when I had a partner. 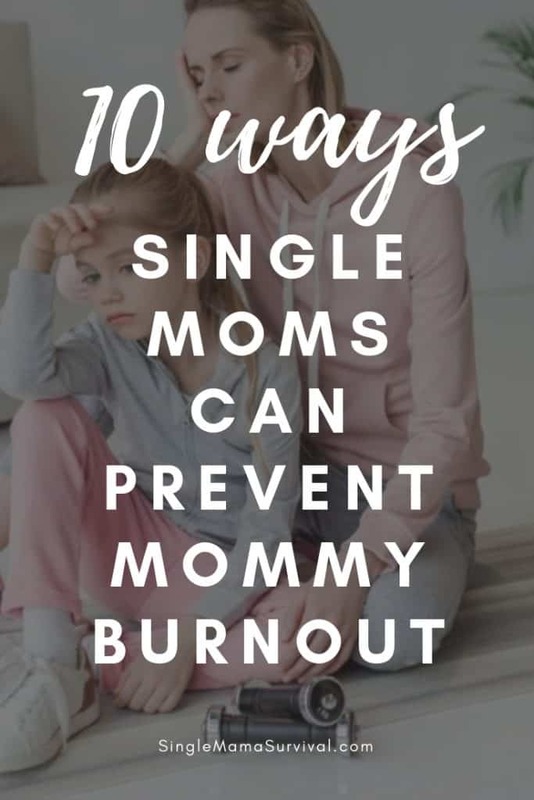 Mommy burnout is a real thing, and preventing it is so important. especially as a single mom! 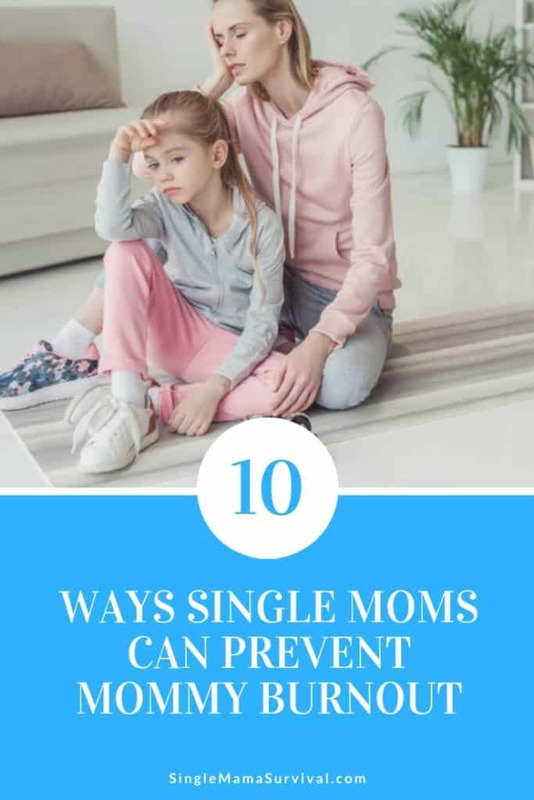 Here are 10 ways single moms can prevent mommy burnout. Sleep is necessary to function, and the less sleep you get, the harder it will be to function! Aim to get 7 or 8 hours at a minimum each night, even if it means going to bed early. Pick a bedtime and make yourself stick to it! Our food is just as important as what you are doing with your energy. Certain foods will make you feel sluggish while others will give you energy. Make it easier to eat healthy foods by stocking up on easy, yet healthy snacks you can grab so you won’t be tempted by bad for you convenience foods. Me time doesn’t always have to be an all-day activity. As a single mom those days are few and far between, but you can still make a little “me” time a priority. Just 15 minutes of your day dedicated to how you want to spend it can be a great refresher. For 15 minutes do something that makes you feel happy- whether its simply taking a shower with your favorite radio station cranked up, or putting no a face mask and shutting your eyes for a few moments, or sneaking out to the porch for a silent cup of coffee- pick something and do it. No social media, no working, no worrying thoughts- deep breaths and some “me” time only! We have the same 24 hours a day as everyone else. This is something that stuck with me for years! The secret to not burning out? Use those 24 hours effectively! Stop trying to do it all, and learn to say no every once and a while. Prioritize your task list, get the most important things done, and learn to let the rest go. Another day will come for those tasks. If you are finding yourself overwhelmed, don’t be afraid to ask for a little help! As a single mom, it can be hard to find help, and even harder to ask for it, but you must sometimes delicate some tasks. Have your kids do a new chore, ask another parent to help with carpooling, etc. This one is going to sound crazy, but find ways to take tasks off your plate. Instead of wandering the grocery store, try having them delivered instead. If you don’t have time to do your nails, don’t get them done! Look for things that you can cross off your to-do list completely or find a way to automate it. Having time without the kids is so important! Make time at least once a month, more if possible, to go out and have a good time. Grab a friend and have a girl’s night out, or even go to a movie or museum all alone. Running up and down the aisles of the grocery store does not count as cardio! Find a way to make some time for a walk or a run even if it’s only for a quick 10 minutes. Don’t overschedule yourself! Make time to literally do nothing for a while and you’ll find you’ll be way more productive when it’s time to jump back in. As moms, we can sometimes turn into notepads for our family. Learn to start jotting things down and give your mind a break! Then refer your family to the list when they ask the same question for the 5th time! Burning out is not fun no matter who you are! These tips will not only keep you from burning out but help make sure you are remembering to take care of yourself too.